We know how important it is to get your machine up and running. We can fabricate, and/or have in stock, many of your major shaker replacements parts. 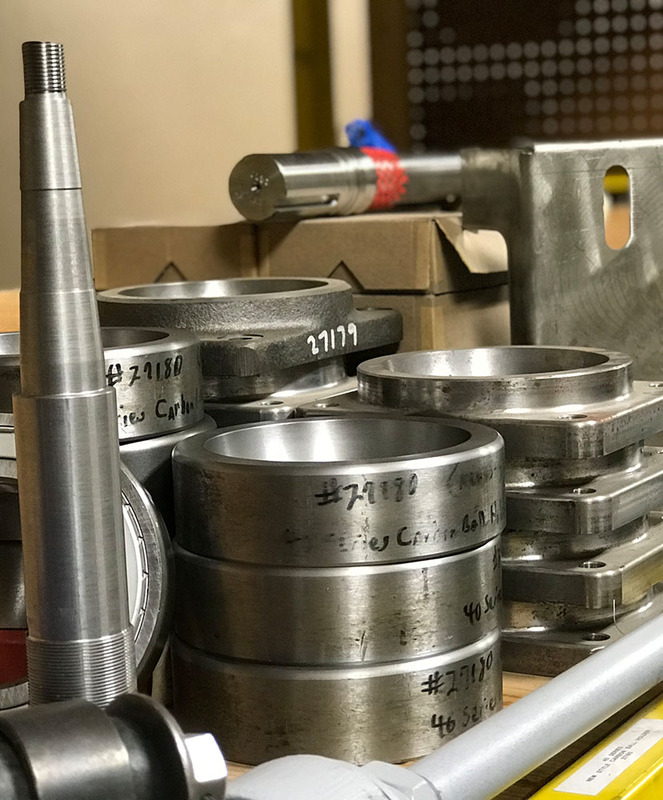 Replaceable shaker parts include; molded connecting sleeves, fabricated fabric sleeves, dust bags, mesh cleaning balls, wire mesh, mesh tension clips, wood or aluminum frames, aluminum tops, carbon balls, slipper plates, draglink assembles, bearings, inspection caps and more. We also offer Gear Box Exchange. We know how important it is to get your machine up and running — that’s why we keep gearboxes on the shelf ready to ship. We can ship most of our replacements items overnight. If you need more information or assistance in identifying the parts and solution to meet your needs, we have experienced Sales Representatives available to assist you. Call us at 1-800-866-6455 (toll free) or 870-673-7226. Browse Shaker Part Pages in the dropdown menu for more details.